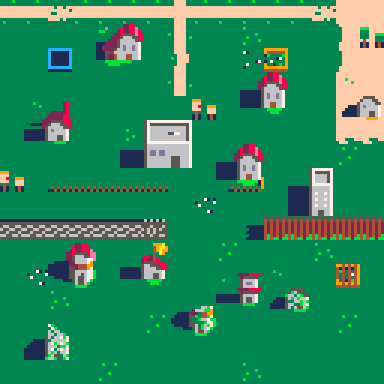 This is just a small tileset I made for a build and cities game. It's nothing fancy but you may get some ideas from it. Feel free to use them as you want. The preview doesn't show everything, there are many more tiles (60+). Remember you can rotate and flip sprites to use them in the direction you need. There are 2 files to download.